Payton Comazzetto created a fun, community-focused, holiday event in Kamloops in memory of her brother. 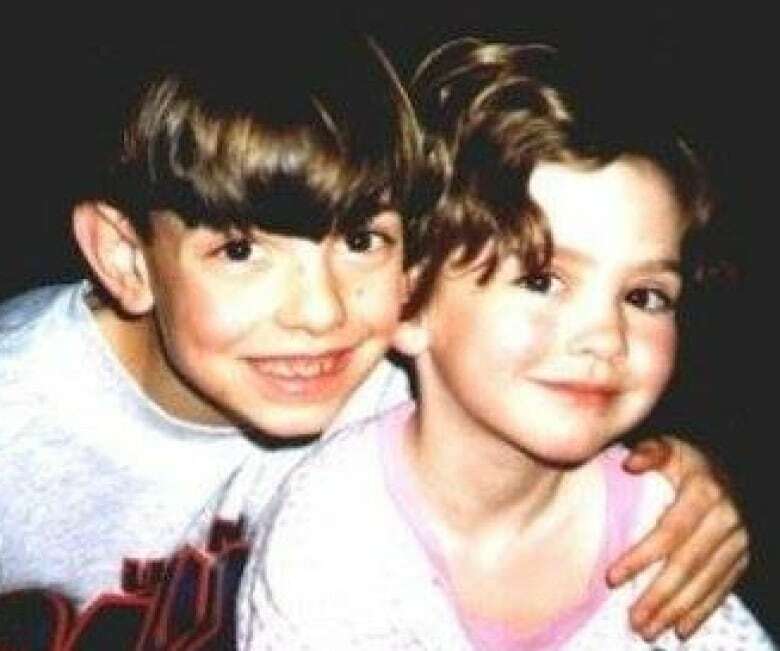 Payton Comazzetto was just six years old when her brother was hit by a car and killed in 1999. "I didn't quite understand what was going on at first at all," she said. Comazzetto, her brother and his two friends were out biking when 10-year-old Brennan rode through a stop sign. He was hit by a drunk driver. "I was very traumatized by that whole experience," said Comazzetto, who is now 24. 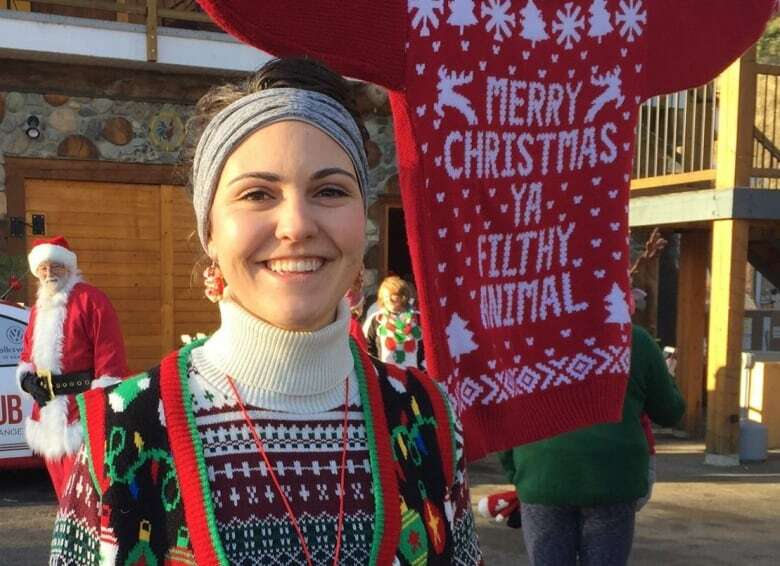 In honour of her brother, Comazzetto organized and hosted Brennan's Ugly Sweater Run in Kamloops on Dec. 3. "Christmas was huge in our house," Comazetto said. "My mom would dress us up and take us to see Santa. She had us in some pretty outrageous clothes." Thus, the ugly Christmas sweater event was born. 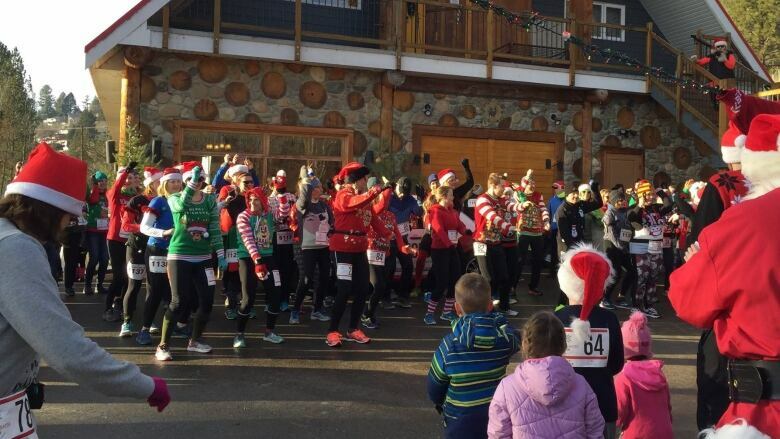 Participants cheered as they lined up, each decked out in festive attire to run or walk five kilometres at Rainbow's Roost, a rural event property in North Kamloops. All proceeds from registration were donated to the Boys and Girls Club Power Start program in Kamloops, an initiative that helps children get to school, eat a healthy breakfast and prepare for the school day through movement and relaxation. This isn't the first event Brennan's family has held in his honour. His mother, Dorothy Barron, said they've organized family dinners and community events, including a cattle show, to commemorate him. "I didn't realize it was going to be as emotional and as big of an event as it is," Barron said. "I am just so grateful that [Payton] has turned that tragedy and that trauma into doing good." "I've known Payton for quite a few years and this is the first time I've seen her be vulnerable and talk about her story," said Jo Berry, Kamloops Run Club founder and Comazzetto's partner in organizing the run. "It opens up space for other people to create their own healing." Comazzetto said her brother inspires her to contribute to the community. "He was just a really good, genuine person," she said. "He taught me a lot about who I want to be."